The Nokia 3 had issues getting the update to Android 7.1.2 Nougat due to its MediaTek heritage. HMD CPO Juho Sarvikas, however, has confirmed that the entry-level device will make the jump directly to Android Oreo, assuaging the fears of users of the device. 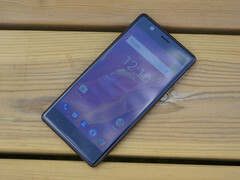 The Nokia 3 was released in February, with the device being the first Nokia branded phone to ship with a MediaTek SoC. The device has been confirmed to make the update to Oreo in the near future, and users are set to make the jump from Android 7.1 directly to Android 8.0 when the update is ready. MediaTek devices are notorious for having issues with software updates, a problem that is, perhaps, MediaTek's largest stumbling block on its journey towards competing with Qualcomm in the chipset market. The chipset manufacturers have an inexplicable aversion towards releasing kernel sources, which makes development a monumental task. The Nokia 3 is yet another victim of MediaTek's shortcomings, as the Finnish company, a while ago, confirmed that the entry-level device would not be getting the update to Android 7.1.2 Nougat due to issues with drivers. Users of the device may have been apprehensive about their chances of receiving Oreo due to this, but HMD promised that all released devices would receive the Oreo update, and company executive Juho Sarvikas has reaffirmed that commitment. According to the company's CPO, the Nokia 3 will skip the problematic 7.1.2 update and go directly to Android 8.0. Exact dates for an Oreo release for the Nokia 3 are unknown; the company released Oreo for the Nokia 8 last week and confirmed that the 5 and 6 would be next. We expect a rollout for the 3 to begin sometime in January, though.